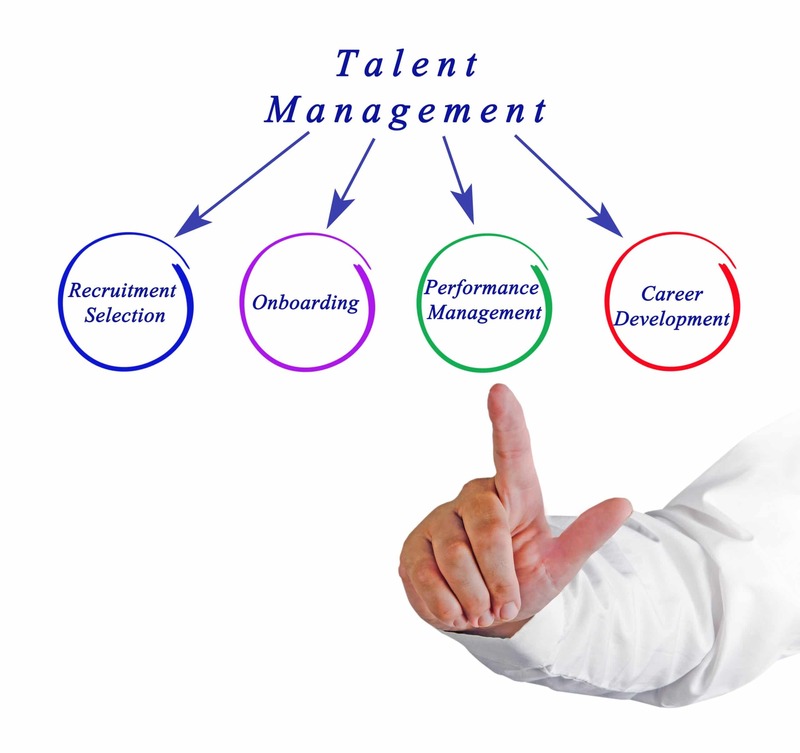 Talent management is a strategy used in business to hire, manage, develop, and retain talented employees. Since people are one of the vital assets of a company, talent management plays a key role in making a business successful. An investment in your employees’ skill sets is an investment in your company. Implementing a talent management program means your workers are consistently learning new skills that improve productivity, reduce mistakes, build confidence, and create a better work environment. You can have a great product with plenty of customers to buy it, but if you don’t have competent, accountable, and productive employees, your company is going to leak money from their mistakes. That is why even small companies are making an effort to design an talent management program to manage their employees more effectively and help them develop their skills and capabilities. No one likes making mistakes or being bad at their job, and employees view training and development as an additional company benefit. Employees are more likely to feel valued if they know that you have invested in them and are less likely to look for another job, cutting down on your recruitment costs. Here are some reasons why you should think about designing a talent management strategy for your business. Attract top talent. Having a talent management strategy will attract the most talented and skilled employees to your business because your current employees will be singing your praises. Social media has turned the tables and has now made your employees one of your best marketing tools. When your current employees are raving about the awesome company they work for, it creates an employer brand that will attract potential talents and contributes to the improvement of your business performance and reputation. Employee motivation. A survey by Chandler and Macleod revealed that 91 percent of employees say that they want more than just money to feel engaged and motivated. Employees want to grow their skills and become better at what they do, not just get the job done. They want to feel good about what they do and how well they do it. Training, coaching, and career development are big attractions for talented individuals. Talent management will help you keep your employees motivated, which creates more reasons for them to stay at your company and continue to develop their skills. Replacements or support for specialized roles. Talent management develops employees to step up to the tasks that require critical skills that are important to specialized roles in the company. This way the company has a continuous flow of employees with specialized skills who can step in to help when others are beginning to burn out. Increase employee performance. When you invest in the development and training of your employees, they will value their performance more and be inspired to become better at their job. Having a talent management strategy often leads to less grievances and performance management issues because your employees will have the right skills to do a good job, giving them confidence and inspiration to keep learning. Any employees who feel good about what they do will want to come to work every day and not only will it increase production, it will also create company loyalty. Engaged employees. Talent management allows companies to make specific and consistent decisions about the development of staff, which guarantees the employees’ skills and development. Employees are more engaged when there is a planned agenda for their development, increasing the retention rates and creating stability for your company to achieve future goals. Retain top talent. Nothing is worse than being a talented employee forced to work with unproductive or negative coworkers. A productive employee may like their job but can’t handle the lack of discipline, disorganization, or poor quality of work from other employees. Keeping all staff accountable and responsible for upholding the company culture and policies creates an environment of fairness, balance, and teamwork. Top talent will feel comfortable in an environment that feels good and where leadership is upheld and respected. Improve business performance. Talent management helps employees feel engaged and motivated, increasing client satisfaction and your business’s performance. When a training program is implemented and managed correctly, employee competency, quality of work, confidence, and efficiency in procedures will improve your business and its profits. Higher client satisfaction. Untrained employees can cause mistakes that turn your customers away. A systematic approach to talent management means that there is an organized and consistent approach to employee training and development. When systems are defined and followed, it makes for more efficient follow-through, and client satisfaction rates are usually higher because their needs are met more quickly and accurately. In conclusion–as retention becomes more of a concern in the growing labor market, companies realize they need to not only attract top talent but to find a way to keep them. The key to high retention is to have a well-designed, efficient, and updated talent management strategy for your employees. Designing and implementing a continuous, effective, and inspiring training and development program will increase your employees’ satisfaction, production, performance and ultimately your company’s profits. Previous : Are You Making These Performance Review Mistakes?